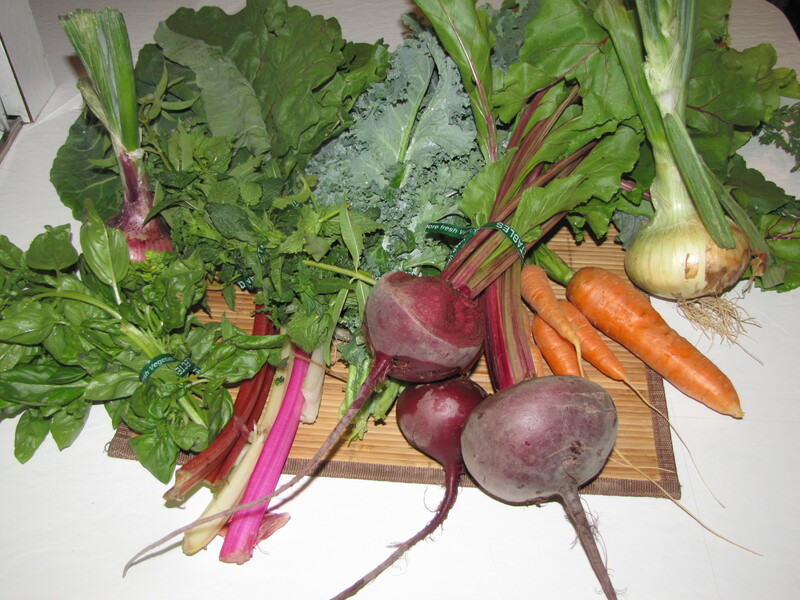 What a wonderful selection from my farming heroes at River Road Gardens this week! While I was picking up my share I heard a rumor that OH NO!!! we’re getting to the end of the beets. This has inspired me to get off my duff and finally do what I have been meaning to do for a long long time — share some fantastic recipes with other shareholders, farmer’s market aficionados and plain lovers of fine fresh food everywhere. And how shall I do it? Well, it seems the old-fashioned food blog might be just the handy tool for the job. So please, follow along as I record my adventures in farm fresh cookery of the Tucson variety. I expect many recipes I feature will be for the basket items that are NOT the first to disappear. Those recipes would be pretty boring anyway. For instance, here’s my carrot recipe: twist off the teensy spindly root tip and flick it out the window as you pull out of the parking lot after picking up your share. Eat it. Try very hard not to eat the rest of the carrots on your way home so that the family can actually have some. Ingredients: 5 carrots (I think there were actually 7, but please don’t tell). Lest you think I’m lazy, I conclude with another recipe I already finished up before sitting down to write. Emily’s Tasty Tea: Take the twist tie off the herb bundle Dear Emily selected this week from the abundant rows; in this case, lemon verbena and peppermint. 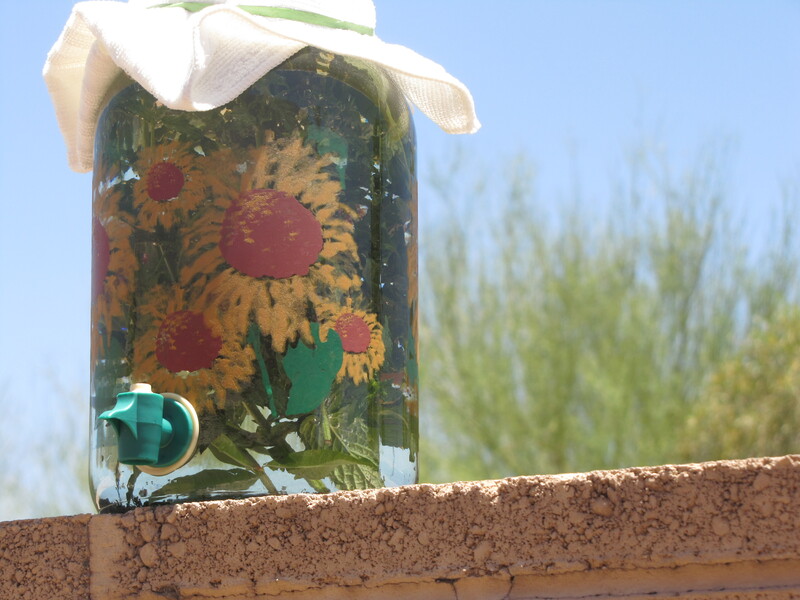 Place fresh herbs in sun tea container or other large jar and fill with water. Add a handful of loose tea; today I chose WuLu green. Put out in sun, preferably in a location visible from your kitchen window so you don’t forget about it. Retrieve when it looks like tea. Pour over ice and enjoy. Welcome to Jen Food. Let’s get cooking!